Spend an afternoon with Prakash Tilokani and Joseph Radhik, who will, in a joint session, discuss and critique the best photographs submitted to the Sony Better Photography Wedding Photographer of the Year 2018-19 Awards, and will also talk about their experiences in the field. Note:- Registration does not ensure entry. Entry is by invitation only, which will be emailed to you separately, if shortlisted. 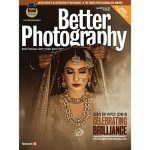 Are you a Subscriber of Better Photography Magazine?